Soothe the aching muscles, speed up recovery, feel free in your body! Release painful muscle tightness while melting away your daily stress with sFera Deep Tissue Massage Balls. 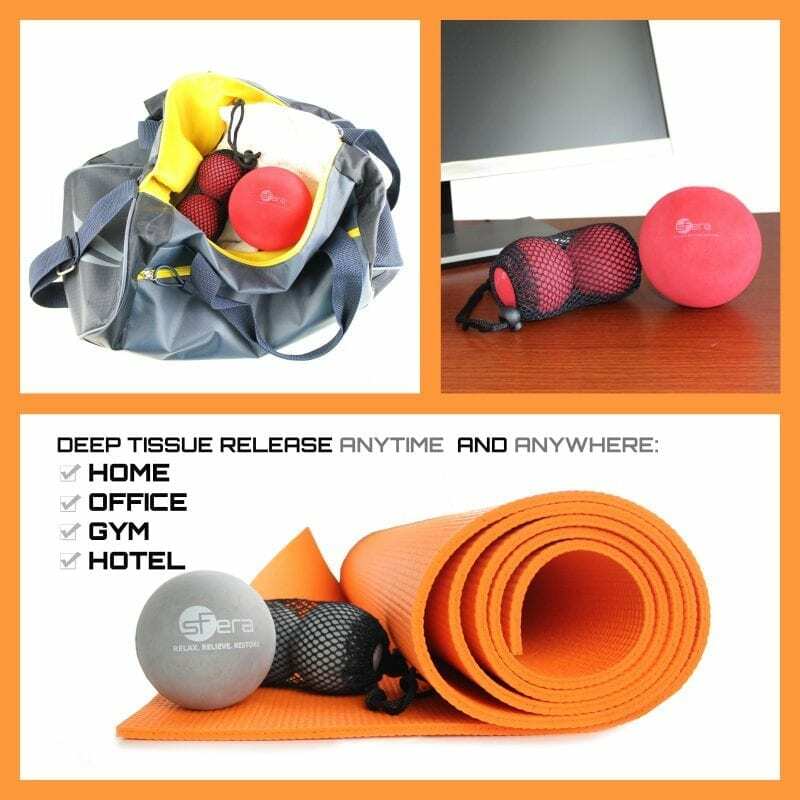 sFera massage balls are a lightweight, portable, and highly effective alternative to traditional foam rolling pain therapy products that you can take with you to the gym, work, or even on vacation. Use the sFera advanced engineered balls to release muscle tension, warm up the body for the workout, increase flexibility, improve circulation, and speed up recovery. 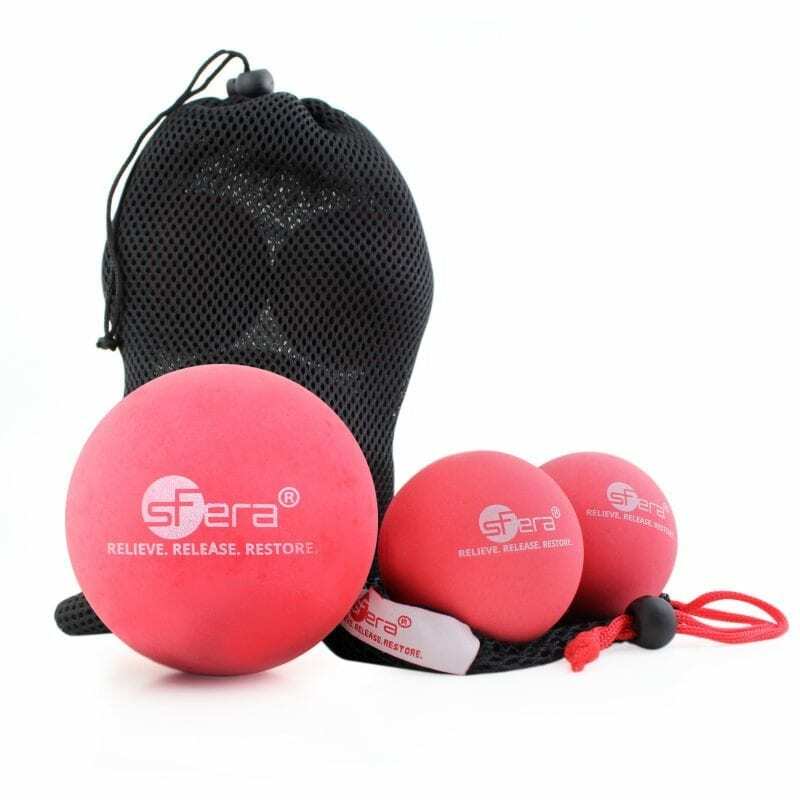 sFera deep tissue massage balls were designed by a movement specialist in order to give everyone professional tools at home to perform daily trigger point and self-myofascial release. Whether you want to open up a tight back after a long day at work, prepare muscles for a tough workout or are looking for a targeted pressure point release to complement your massage or physical therapy sessions, sFera self-massage kit will do the job right for you. The unique choice of materials and sizes used to make sFera Massage Balls is designed to survive the test of time while providing you with massage relief from muscle and back pain whenever you need it. 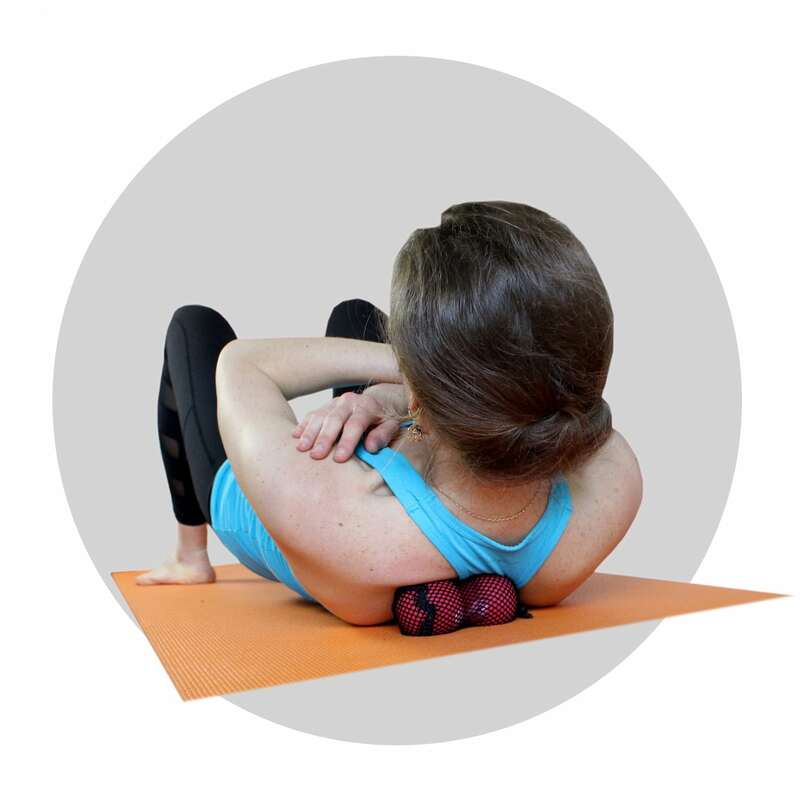 This easy-to-use self-massage ball set also comes with a comprehensive guide/ebook with access to a video library that will teach you how to become your own expert massage therapist.